BitMonster's first game, Lili, is a quirky Adventure Game / RPG hybrid for iOS devices. 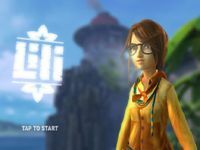 On the mysterious island of Geos, Lili will meet some crazy folk and explore one of the most beautiful environments you'll see on an iOS device. Maybe she'll even challenge an oppressive regime and conquer a few personal issues for good measure. Lili features an amusing "non-combat" system for dealing with enemies, loads of item collection, humorous character interactions, minigames, and a streamlined RPG campaign. It's an adventure that is appropriate for nearly anyone and yet won't give up its soul to achieve that goal.